Get to know Bluebird Theater. The Bluebird Theater was built in 1913 and originally named after the prominent Denver grocer and druggist, John Thompson. The theater was renamed in 1922 and became an important part of the community. The theater was also initially a movie house and went through various phases over the years. In 1994, Chris Swank and a business partner invested in the Bluebird and it re-opened as a mecca for music that you know today. The theater is laid out in tiers with a balcony overlooking the entire space. 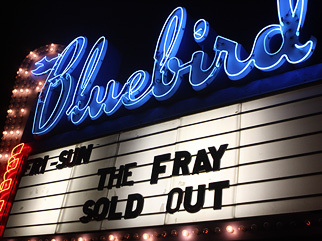 In 2006, AEG Live took over the Bluebird Theater and made significant upgrades to the production aspects of the room. The Bluebird Theater is operated by AEG Live.  AEG Live, the live-entertainment division of Los Angeles-based AEG, is dedicated to all aspects of live contemporary music performance, touring for a variety of programming, and multi-media production. AEG Live, the nation's second-largest concert promotion and touring company, is comprised of special event, broadcast and exhibition divisions, fourteen regional offices, and numerous state-of-the-art venues nationwide. AEG Live has an international reach with regional and local presence in San Diego, New York, Las Vegas, London, Nashville, Houston, Dallas, St. Louis, Atlanta, Denver, San Francisco, Florida, and Los Angeles.